Entrepreneurship is a risk-based profession. Many factors outside of your control can effect your business and you need to be able to navigate a career where these factors pop up from time to time. 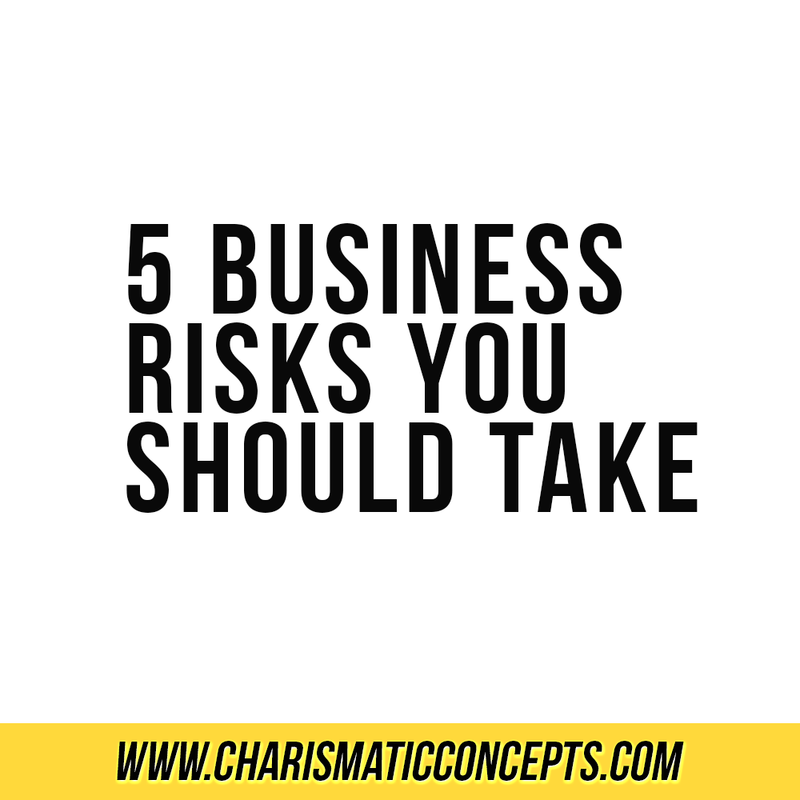 In life and in business there are some risks that you should expect to take and some that you should take to get ahead. Trust someone to help you. Sometimes people disappoint you. We’ve all been there. But this doesn’t mean that ALL people will disappoint you. You may feel like you can’t trust anyone with anything business related because your business is your baby and no one can care for it the way you can. If you are the face of your business and the brand is built around your personality then there may be some truth to that but, that still doesn’t mean you can’t benefit from the help of others. Allowing others to help you with your business is not the same thing as letting someone take over or giving up the reins completely. You will be shocked at what a little help from friends, family, or employees can do for you. Tasking others with your least favorite things to do will allow you to focus more time on what you love and get more items checked off of your to do list. You don’t have to give up the drivers seat, just start letting other people ride in the car! A lot of people think that because they walk into work every day into a building that someone else owns and sit at a desk that someone else provided, they are guaranteed a paycheck. This is false. Just because you have a “regular” job, you are still not guaranteed a steady paycheck. You never know when a company may need to downsize and if you are not the CEO, then you don’t get the final say in who stays and goes. Owning your own business is a financial risk but at the end of the day, you decide who stays and goes. If luck and hard work are on your side, you may end up making more than you ever could have at your day job. The right collaboration can take a good project and turn it into a great project. Finding the right people to work with can sometimes be a challenge but with social media on your side, you can get a great idea of someones work ethic and creative capabilities before you even send them a hello email. Collaborations can help you build a stellar portfolio that represents your best work, find new ways to be creative, and have a list of awesome creatives to work with on speed dial. You can’t expect to launch a successful business without putting in some extra time. If you are used to always having a 40 hour work week that fits perfectly into a Monday to Friday format, get ready to say goodbye to it. Being an entrepreneur often requires long, weird hours. Depending on what kind of business you own, you won’t necessarily always need to log so many extra hours but be prepared to cut into your personal time in the first few years of entrepreneurship. You can’t get what you don’t ask for. If you are having a difficult time finding clients or customers, it may be because you are not putting yourself out there as much as you could be. Are you completely utilizing social media with both relevant and consistent posts and updates? Are you networking in person when you can? Are you offering to be a leader in your industry and speak out or share knowledge on the topics you are an expert in? If you answered no to any of these questions, you need to be putting yourself out there more. Whether you are extroverted or introverted, there are tons of creative options for getting your name out there so get that idea book out and show the world what you can do. Anyone who works from home knows that fighting the urge to rock sweatpants from the couch while working on your laptop on a daily basis is real. However, it can be a lot easier to fight off distractions when you have a few working from home rules set in place. While I do believe in a little rule breaking from time to time (I definitely watched the new season of The Unbreakable Kimmy Schmit while I worked on Friday), sticking to these guidelines will keep distractions at bay during your workday. Have a designated work space. I can’t stress the importance of having a designated work space enough. Your work space doesn’t need to look like it’s ready for it’s close up in West Elm’s latest catalog. It doesn’t even need to be a large space. It just needs to be clean(ish) and functional. You need a space to put your computer, a notebook and a few pens, and if you are a maker of some sort, your materials for making. Be sure to inform anyone who you live with that this space is designated for your job and lead by example when it comes to respecting that space. If you are like me, you won’t work in the same space every single day for the same amount of hours but try to work in your designated space for at least a few hours of uninterrupted work every day. The Pomodoro Technique was created by Franchesco Cirillo in the late 1820s. It’s a time management method that is easy to learn, easy to do, and best of all, free. Simply work for 25 minutes with absolutely no interruptions. This means putting your phone on silent or even (gasp!) turning it off, not checking social media, and staying completely focused for 25 minutes. Then you take a 5 minute break after your intense work session. After four 25 minute sessions, take a longer break lasting somewhere between 20 and 30 minutes. You can of course customize a routine that works best for you and the structure of your work day. When I first started my business, my office hours were 24/7. I was fielding emails, Facebook messages, and even text messages from clients at all hours. I always felt exhausted because I was always working. The lines between work and home were no longer blurred, they were non existent. Keeping office hours not only keeps me sane but, makes me remember that there are certain time frames where I will be working hard and certain time frames where I will not be working. This keeps me focused and accountable during the hours that matter. Limit your social media time. Many of us use social media to market for our businesses and as someone who consults with other small business owners on how to use said social media to attract customers, I fully understand the importance of checking on your social media throughout the day. 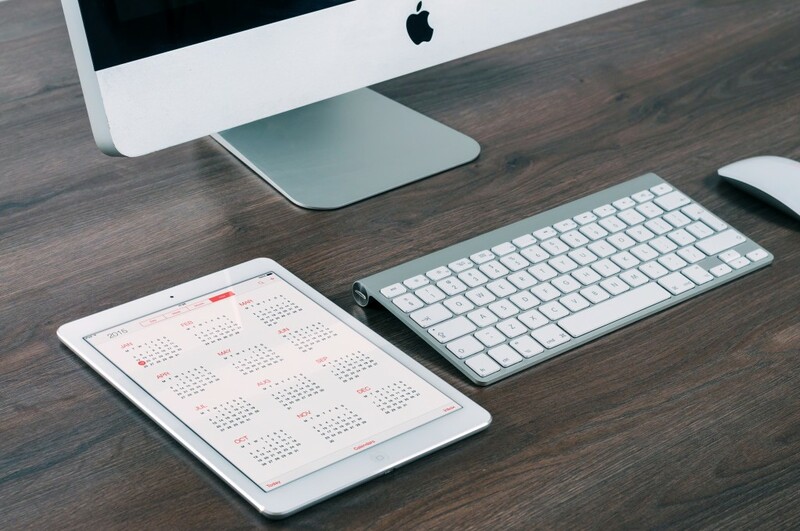 However, with apps like Hootsuite, Edgar, and Buffer, there is so reason that you can’t schedule all (or a great deal) of your social media posts ahead of time and check in periodically to engage with others. It’s a slippery slope from spending time on social media that is helping your business to Facebook stalking your old high school friends who you don’t talk to anymore. Keep the things you need on your desk or in arms reach. Every time you get up from your desk to hunt for a specific item around the house, you risk getting completely distracted. 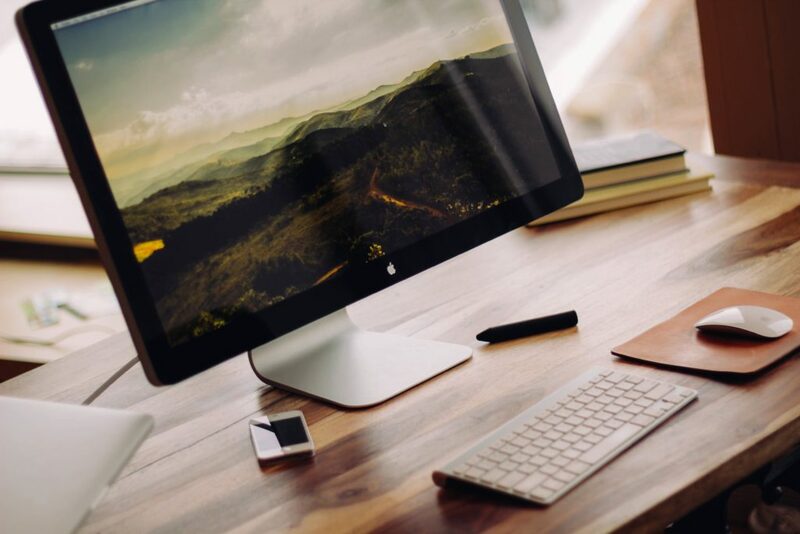 Keeping everything you need on or in your desk, or in arms reach from where you work will allow you to quickly get to the things you need with minimal distractions. Maybe you’re a parent. Maybe you’re involved in a lot of community projects that are keeping you extra busy. Maybe you have a 9-5 and a side hustle business. Regardless of what your situation is, sometimes we need help with keeping distractions at bay. Don’t be afraid to ask family or friends for a little help in creating a distraction free zone for you to work in. Any other creatives or entrepreneurs will definitely understand where you are coming from. There are currently so many apps on the market that it is hard to decide which ones to actually use. As an entrepreneur or freelancer, your time is always being spread in different directions and spending time to research and learn about new apps is sometimes put on the back burner. However, there are apps that you may be missing out on that can help you stay better organized and use your time more efficiently. These are the three that I currently use on a daily basis. Time management is such an important factor for all entrepreneurs and freelancers. Honestly, regardless of your profession, I believe great time management skills are vital. Who doesn’t want to be more productive and use their time more efficiently? There are a lot of time management apps out there but Rescue Time is the best one that I have used. This particular app tracks how I using my time and gives me reports that allow me to increase my productivity. Rescue Time has helped me become more effecient in the office and has allowed me to achieve better work life balance. Most of us who work online consume a large amount of content on a daily basis. If you are like me, it’s easy to run across an article you want to read when you don’t actually have the time to read it. With a million different thoughts and ideas floating around in my brain, it is almost impossible to remember where I found a particular article three days ago. Pocket allows me to quickly and easily store content to view at a later time. As long as I have internet access, I can access this virtual pocket at any time. Work, travel, meetings, birthdays, friendships, family. Google Calendar handles it all like a boss. It’s easy to use and once you start, it will become something you use daily. If you are like many of the entrepreneurs that are juggling multiple roles, Google Calendar is a must. Don’t forget to take advantage of the color coding, sub-calendars, and invitations to meetings. Let Google Calendar keep you organized so that you can focus on what you love. Are there any apps that you can’t make it through the day without? Let me know which ones you are currently loving. There’s a question that most entrepreneurs ask themselves at one time or another. Can I have it all? The answer to that question is, yes you can have it all. It just looks differently than what you think. Work life balance is finally starting to be more widely embraced among entrepreneurs. With bestsellers like Tim Ferriss’ 4-Hour Workweek, and endless advice on the Internet about how to achieve work-life balance; it seems that entrepreneurs are fully embracing the work smarter not harder mentality. Although entrepreneurship goes hand in hand with having a career you love, less time at work means more time for your family, health, hobbies, and travel. The problem is, for the vast majority of us, balancing all of those things can still be a struggle. Lately I have realized that I have a pretty good handle on keeping work, my health, and my social life balanced but I have no idea how I will continue that balance once children are brought into the picture. I also travel less than I want to and I know that will only increase once children are brought into the picture. Although John and I are not planning to have children too soon, this thought already creeps in the back of my mind. A friend of mine, who is a mom and a small business owner, recently told me that you find the time to be a parent but that time comes from other areas of your life. So essentially, one day I will find the time to be a parent but it will mean that I am most likely doing less of something else. I simply can’t make more hours in a day so something will have to give. This doesn’t mean that I will have to give up an area of my life completely, just that it will be different. Instead of doing cardio in the morning, a Beachbody workout mid day, and weights in the afternoon with John, I may find myself doing one workout and walking with my child in the afternoons. Instead of spending certain weekends getting lost in a book and reading until I fall asleep, I might read for an hour before my children wake up. Having it all doesn’t mean that I can’t be an entrepreneur, artist, wife, mother, daughter, sister, friend, etc. It just means that I can’t be perfect. In order to have it all, I have to know that there are some areas that I may not be the absolute best in. There will be days that I don’t balance everything perfectly, there will be times when I make mistakes, and there will be moments where I feel like I don’t have it all together. That’s a part of life whether you are trying to have it all or not. Once you let go of the notion of being perfect, you can have it all by simply giving life your all and doing what you can to maintain a healthy balance. We often have an image in our mind of someone who has it all but the reality is that the only way to truly have it all is to completely embrace imperfection. Redefine having it all to having all that you want and all that makes you feel healthy and happy. It’s the first Monday of the year and there is a certain energy in the air that makes most entrepreneurs excited about all that lies ahead in the coming year. Many of us make resolutions, set intentions, list out goals, or have a word of the year that we focus on at the beginning of the year. The problem is that by April, many of us feel overwhelmed and are no closer to seeing our early vision of the year become reality. The good news is that there are a few things you can do to ensure you stay on top of your goals this year. 1. Set clear intentions and make a solid plan. There’s nothing worse that having a goal that isn’t really a goal at all. If you are not honest with yourself about what you really want when setting your goals, you will never be brave enough to actually make it happen. Think about what you really want and make it as clear possible. After you know what your end goal is, make a detailed plan to get there. Don’t let your goals slip out of reach due to failing to plan. Your goals are worth the time and effort to map them out completely. 2. Have an accountability buddy. Whether your goal is to grow your blog audience, increase sales in your store, bench press more weight, or make new friends, having someone to hold you accountable can be incredibly helpful. Let the most inspiring and supportive people in your inner circle know what your goals are for the year and ask them to gently remind you to keep your eye on the prize if you end up going off course. Many of us have experiences and goals we would love to check off of our bucket lists but our wallets may be holding us back. Whether it’s that backpacking trip, a membership to the new crossfit gym in your neighborhood, or the light kit that will really help with your photography, our bank accounts can have a lot of say in how exactly (and when) we reach our goals. Don’t let your bank account boss you around this year! Make a budget and stick to it like a boss. Be accountable for what you spend and know exactly how much you are making and investing into your business. If you need help, hire someone affordable to help you manage your finances and come up with a game plan to be more financially stable in 2016. We all know that Beyonce is a force to be reckoned with in the entertainment industry. Beyonce is a multitalented singer, dancer, performer, and writer. However, sometimes people forget that she is a successful business woman as well. Here are six lessons you can learn from Beyonce and apply to your own career. Beyonce didn’t get to the #49 spot on Forbes list of America’s Richest Self-Made Women by not knowing her worth. In fact, the only other musician on the list is none other than pop royalty, Madonna. Beyonce’s multi-year deal with Pepsi earned her $50 million and that is just one of her current endorsement deals. Combine that with record and ticket sales and you’ve got a pretty sizable bank account. Beyonce knows her worth and won’t settle for less and neither should you! When Beyonce isn’t feeling quite flawless enough to handle a task, she enlists her alter ego Sasha Fierce to get the job done. Sasha Fierce helps Beyonce feel more confident and badass. Find your inner Sasha Fierce and fake confidence until you fully realize how amazing you are. 3. Surround yourself with people who support you and push you to be even better. Jay Z, Tina, Solange, Kelly, and Blue are always around when Beyonce needs support but she also has the entire Beyhive to rely on. Having the right people in your life is important – especially if you are an entrepreneur. Make sure you are surrounded by people who lift you up and encourage you to be the best version of yourself. 4. Try a different approach. People have been releasing albums the same way for a long time. There’s a lot of marketing, dates announced, and singles dropped strategically. One day, Queen Bey decided to flip the script on the world and do things completely differently. After dropping a surprise album with no promotion, Beyonce still found herself at the top of the charts. If you are in a rut, things are not working, or you are just feeling a bit bored with your career, don’t be afraid to try a different approach and mix things up. From a young age, Beyonce has gone after what she wants with no apologies. You don’t make it to the top without some plan on how to get there. 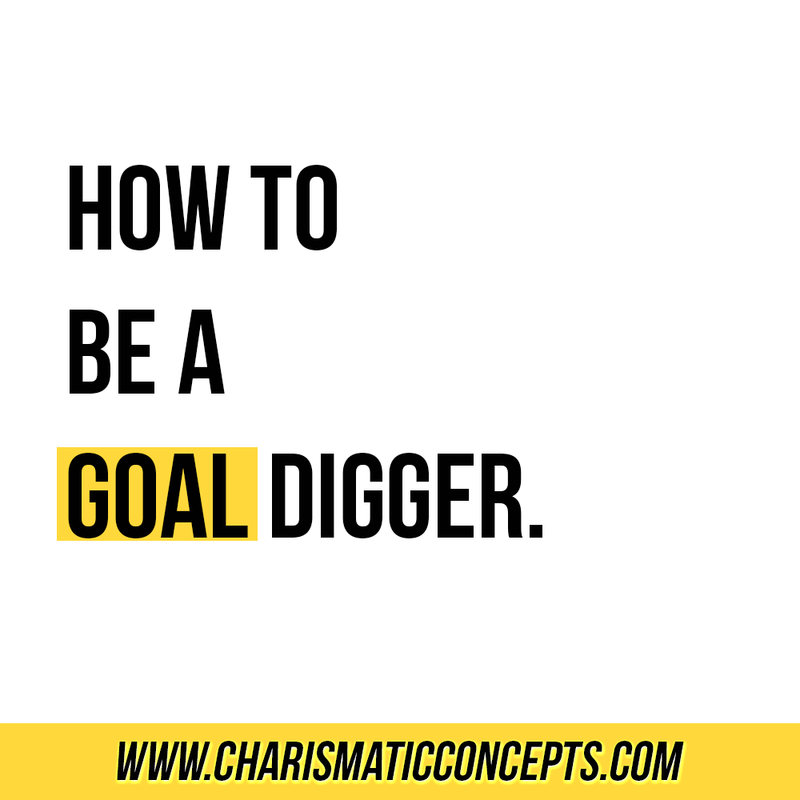 Set clear and attainable goals for yourself and your business while never forgetting to continually redefine what an attainable goal is for you. It’s no secret that Beyonce is enjoying her life. And why shouldn’t she be? She works incredibly hard and isn’t afraid to push boundaries and set new standards within her field. Even though she is one of the most famous performers in the world, she still makes time to be a mother, wife, sister, daughter, and friend to those who are most important to her. She takes breaks, vacations, and never forgets the reason she started creating and performing in the first place. Don’t get so stuck on your bottom line that you forget to actually enjoy your career and your life.